Five Key Ugali Learnings from Joab, the Kenyan Phoenix! 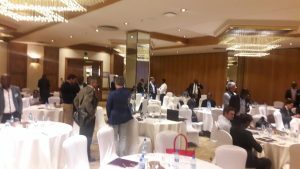 Feast your eyes upon this article written by Joab Wako, who attended the 4th African Mini-Grid Summit in Nairobi last week! 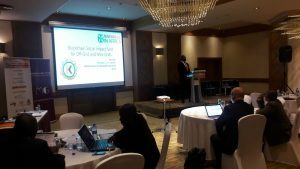 This year, the 4th African Mini-grid summit was held at the Intercontinental Hotel in Nairobi, Kenya. It happened to be my first conference in the renewable energy space, and I’m very thankful to Renewables in Africa for this opportunity. 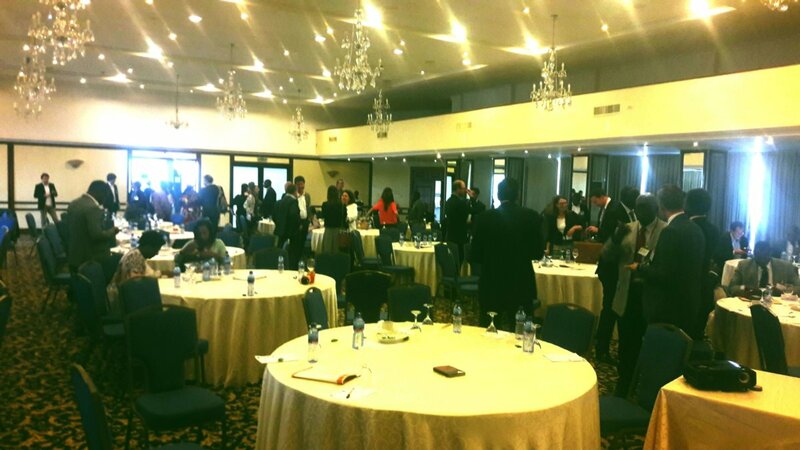 Apart from the green energy jargon that needs some getting used to, the summit was very informative as industry experts talked about the ups and downs, and their lessons learned. As a new RiA-der, I was given the honor to summarize the conference in this article. 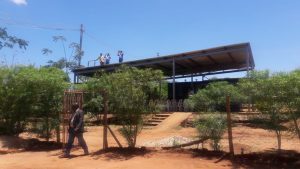 Because Kenya is known for its big five animals, the Elephant, Lion, Buffalo, Rhino and Leopard, here are the big Five I learned from the 4th African Mini-grid summit. The summit started with Professor AbuBakar Bahaj, head of energy & climate change division at the university of Southampton, stating the global numbers of people who have no access to electricity; currently around 1.2 billion people have no access, and a majority of them live in Africa. 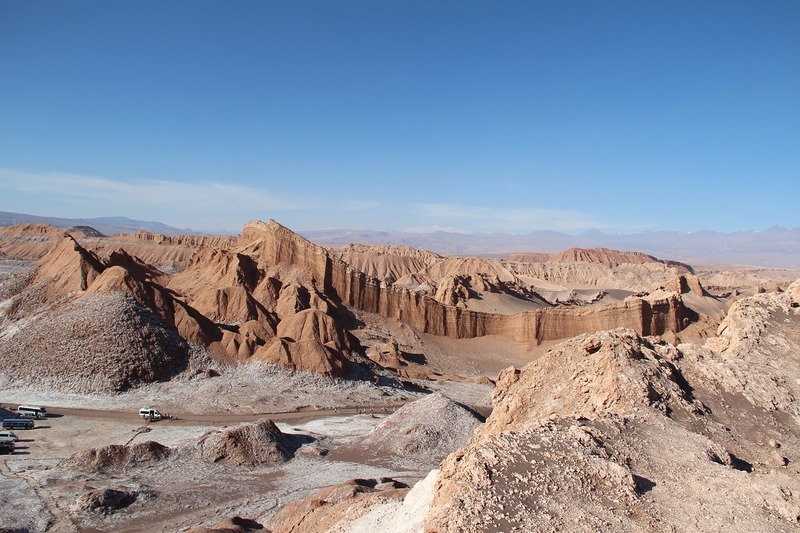 Of those, many live in very remote areas that are hard to reach. Mini-grids, as a result, offer a solution because extending the national grid to reach these people, most times, costs more than setting up a mini-grid. Furthermore, these areas tend to have low population densities such that extension to these areas isn’t financially viable. As a result, governments are now very keen on off-grid solutions like mini-grids and are investing in them to reach these populations. 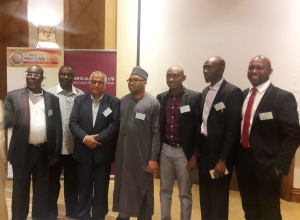 Government representatives from Uganda, Kenya, Nigeria, Niger, Zambia and Sierra Leone presented at the summit showcasing how policy in their countries is encouraging green energy developers by giving financial incentives and providing government support where necessary. Collaboration between all parties involved is crucial when implementing and maintaining a mini-grid. The tension between Private and Public organizations can sometimes hinder progress. This was touched on at the summit as private power companies assured public power companies that there was no competition. The representative from Virunga power referred to private power companies as David and public power companies as Goliath, driving the point home that each have their strengths and weaknesses. In truth, not every individual can be connected to the national grid, and that’s where private power companies come in. The model she explained showed that mini-grids can eventually connect to the national grid as an ‘anchor’, supplying to the national grid when needed and vice-versa. In the future, mini-grids could become part of the national grid, making electrification faster, and much easier. Policy has always been key to any green project; encouragingly governments are listening and all government officials explained how their countries have improved policies to encourage green developers. Sierra Leone is working on developing a program that should see 50 mini-grids built by this year. More impressively, they implemented a waiver on import taxes for high quality solar and energy efficient appliances so Sierra Leonians can buy good quality green appliances. 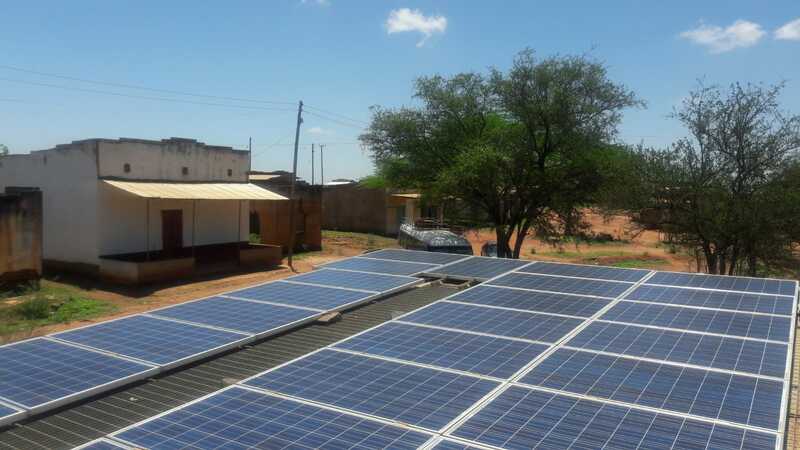 Kenya on the other hand, through the Kenya Off-Grid Solar Access Project (KOSAP), has identified 14 out of 47 counties in the country that have been marginalized. The program, which has been funded by the world bank, encourages green energy developers to electrify remote areas in Kenya. Uganda politically reformed its energy sector by having public private partnerships. They did this by having a reverse auction to select private sector developers. The selected companies invest in generation and undertake maintenance. 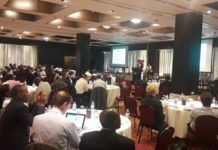 The conference showed that there are many ways to increase electricity access, the policies and framework a country chooses can encourage renewable energy projects. Because many different developers are entering the African market, learning from already completed projects, if the data isn’t readily available, can be a challenge. The representative from Factor[e] explained how data from mini-grids can help build more efficient grids in the future. A project she was working on included installing sensors on electrical appliances to get the appliance load profile. The data could be loaded to Odyssey, a web-based data platform that allows them to analyze data from micro-grids in different locations. This enables a project developer to learn from past projects and improve future grids. The same sentiments were held by the representative of the International Energy Agency which facilitates the exchange of technical information. The agency, requires the following data from developers; General system data, Annual energy, System monitoring, Battery monitoring, and installation costs. They use this data to improve performance and cost efficiency of the systems. This data is readily available to developers and enables mini-grid manufacturers to improve their products. Mini-grids are capital intensive and require both private and public entities to be aware of that. The private sector can play a great role by bringing significant impact in the sector, because private developers tend to be more efficient with time and money. The government, on the other hand, can help in consolidating projects in geographical areas, address high end user tariffs through subsidies, streamline and shorten the licensing process, and provide predictability of when the grid is likely to be extended. With their different strengths, collaboration between the two is key. In the private sector, start-ups are generally more willing to invest in mini-grids than established businesses, and it is important for organizations that fund to be patient, or have options in case of a delay, as off-grid projects are mostly in remote areas that tend to have poor infrastructure. Personally, I was able to learn so much more from the conference because we had a field trip to a mini-grid site in Kitonyoni (for those who don’t know where that is, check it out on google maps!) The project has transformed the village, and it was great to see and interact with the locals whose lives have been impacted by a mini-grid. Mini-grids really do work, and they have the potential to transform a village and improve the villagers’ standard of living. It is one thing to be saying this, but certainly another to see it from your own eyes! Joab Wako bio: Joab industrial engineer who enjoys improving processes and making them as efficient as possible. 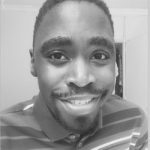 Although he worked for two years only in the automotive industry, he is incredibly comfortable in the manufacturing environment and has developed skills he will ready to use in the clean energy space. Joab had a kidney transplant in 2016, receiving a second gift of life from a sibling, his heroic sister: Selina Wako, ! You can read more about his amazing journey on blog, 1000 Miles. * Mulembe Muno, Oriena? : Greetings, how are you in Luhya. The Luhya (also known as Abaluyia or Luyia) are a Bantu ethnic group in Kenya. They represent about 16% of Kenya’s total population of 48.5 million, and are the second-largest ethnic group in Kenya. Luhya refers to both the people and their language. A famous Luhya? Well, Joab right? He is the Kenyan Phoenix!! 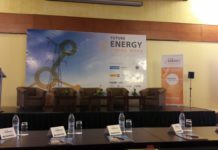 Seven (bright) Lights from the Central Africa Energy Summit! 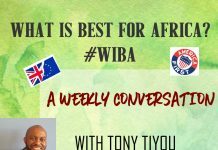 Topic: How to successfully source Million Dollar Energy Projects in Africa? Job Adverts – APPLY TODAY! My mission, simple: To boost your Technical Awareness of Renewable Energy!! greenCrowd is a breakthrough in financing for small-to-mid scale sustainable energy and waste management projects. 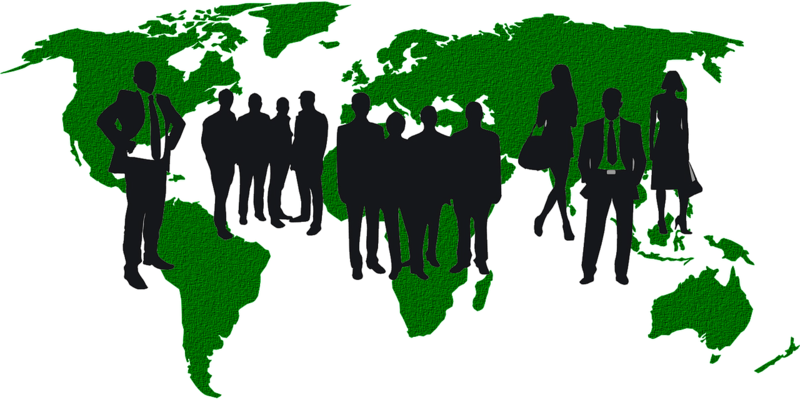 greenCrowd provides product or project evaluation, legal, modelling, research, project management and due diligence. Renewables In Africa (RiA) is a website about the renewable energy industry in Africa. We provide you with the latest articles about the industry and easy-to-understand technical posts. How Clean Energy Can Reduce Africa’s Debt? How does a Solar Panel work? Africa, Asia, LatAm: where are the HOT markets?